Hard costs include expenses directly related to the physical construction a building. Soft costs include expenses indirectly related to construction of a building. Construction costs impact the the return of an investment, and its budget should be analyzed thoroughly before investing. When examining a real estate investment opportunity, Fundrise performs a detailed budget analysis - one of the over 350 data points considered in our underwriting process. Hard costs, often referred to as “brick-and-mortar costs”, encompass the actual physical construction of real estate development. These costs cover the material and labor that go into property development. 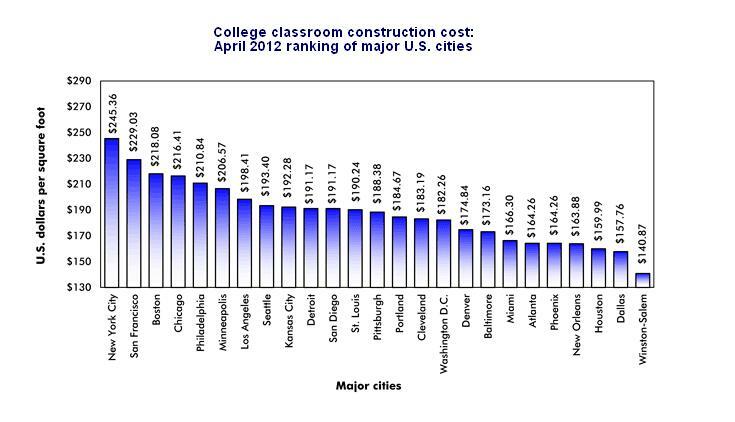 Some example of material hard costs include cement, drywall, carpet, sod grass are examples of hard construction costs. Labor hard costs can include things like grading, site excavation, landscaping, and carpentry. As the physical construction putting together the nuts and bolts of a real estate development project, hard costs are more materially apparent than soft costs, and therefore usually easier to recognize. Soft costs are often less obvious than hard costs, because they are often not visible. Soft construction costs are fees incurred in the construction of a building that are not directly related to labor and physical building materials. Typical soft costs include architecture, engineering, inspection and accounting fees. Permits, taxes and legal fees also fall into the category of soft costs. Unlike hard costs, soft costs can also include expenses that continue even after a project is completed. This can include building and property maintenance, insurance, security among other ongoing fees related to the upkeep of an asset. LEED Certification for commercial real estate projects has become a prevalent construction cost in recent years. As more municipality governments offer incentives in the forms of loans, grants, tax credits and fee waivers for green building practices, more developers are acknowledging the short-term and long-term benefits of building and owning sustainable assets. LEED certification can affect hard costs, usually contributing an additional 2% to hard construction costs and roughly $150,000 in soft costs depending on the scale of the project. Beyond hard and soft costs, real estate developers must also consider site work expenses before finalizing plans for property development. These costs could include land acquisition, demolition of existing buildings, environmental remediation—or even utility and public road extensions, depending on the location of the property. As an investor, it is important to work with a real estate developer with experience in developing real estate projects similar in size and scope to your prospective investment. In order to assess an investment, it is important to have an understanding of anticipated costs and the assumptions that the costs are based on prior to investing. Investors can view the breakdown of expenses in the pro forma of a proposed project development. At Fundrise, every investment we make has undergone a rigorous underwriting process, including a detailed breakdown of a project’s hard and soft construction costs and the effect that they have on its economic viability. Construction costs are a few of the 350 different data points that we examine when performing due diligence of a project. Our real estate team has underwritten over $7.5 billion in real estate, taking the headache out of real estate investing for our investors. With as little as $500, you can invest in a diversified portfolio of private real estate backed by the expert Fundrise real estate team. There is a common misconception that real estate investing requires property ownership, but there are many real estate investment opportunities outside of ownership that offer lucrative, steady cash flows and far less maintenance from an investor.